The hardest part of preparing for an interview is the unknown factor. Although you can make assumptions about what you’ll be asked, you never know for sure until you’re there on the hot seat. Sure, you’ll be asked about your jobs, your skills, and your experience—but there are lots of different ways any given interviewer can go. While it is impossible to predict with 100% accuracy what might be thrown your way, you can do your best to prepare for the different scenarios you might see on interview day. Let’s start with THE interview question. The alpha. 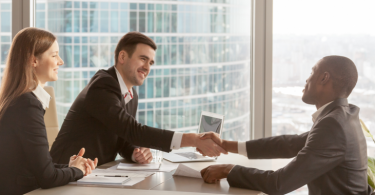 Without a doubt, the most asked interview question in existence is “Tell me about yourself.” It’s an easy ice-breaker, and it lets the interviewer start to get a sense of what you’re like as a candidate. This will most likely be the first question you’re asked in any job interview, so it’s absolutely imperative you have your response ready to go. Unlike the classic “Tell me about yourself,” questions measuring personality are a lot more uncommon, subtle, and complex. These are generally questions the employer has tailored to measure your personality and how it would translate to the responsibilities of their open position. These questions can be tricky because it’s not often clear what kind of answer the employer wants to hear. A person hiring someone for an accounting position may consider someone with an introverted personality a better fit for the job than someone who parties it up every Saturday, and vice versa. Remember, these questions exist, which means they were all asked at one point or another. Don’t be the interviewee that gets caught like a deer in headlights when faced with a “gotcha” question. Questions about salary are important to keep in mind. 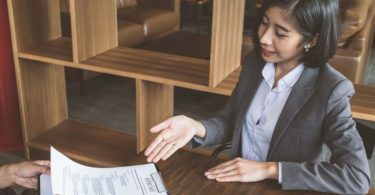 More and more states are passing legislation about what potential employers can and can’t ask you about your salary history, so make sure you know what your state’s current policies are, before you hand over that information to an interviewer. Out of ignorance or slyness, an interviewer might try to get information out of you that the company is not allowed to factor into their hiring decisions. However, you’re not obligated to answer them—and in fact you shouldn’t. Your battle plan should be to figure out why they’re asking (whether it has direct consequences for the job itself), and to decide whether you should answer. Some of the hardest questions you’ll encounter might be illegal, so it’s important to know what the danger zone questions are, and why you don’t need to answer them. And if there’s an out-of-bounds question being asked, don’t panic. Just say you don’t feel comfortable answering it, and deftly steer the topic to something else you’d like to share about yourself. When you’re in the hot seat, all questions thrown your way seem tough. Some, though, are harder than others, like the ones below. Remember: your interviewer not only wants to get a good sense of what you will answer, but also how you handle the pressure. Stay cool and take a breath, even when you’re struggling to come up with an answer. Study these questions and prep yourself for whatever might come your way. And just when you think you’re done prepping for every possible question you can get in an interview, there’s still more work to be done: you need to prep the questions you’re going to ask too. You should always, always have questions for your interviewer. Now that you’re prepared for what you’ll need to say and ask on interview day, don’t forget to dust off your lucky interview outfit and brush up on that body language as well. Good luck, and happy interviewing!